It seems that Brits flying abroad on long-haul journeys could soon be travelling on a brand new airline and saving money at the same time. 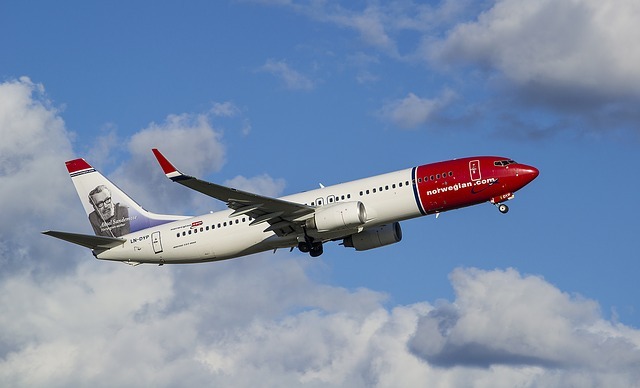 Low-cost carrier Norwegian has been granted a UK operating licence, which means that a series of new long-haul destinations will be available to British holidaymakers looking to bag a bargain. With the license comes a brand new UK subsidiary for the airline, which is likely to be called ‘Norwegian UK’ and which will start operating in the first quarter of 2016. The new routes it will offer will include long-haul flights to Asia, South America and South Africa. The approval to operate flights out of the UK followed a detailed application process looked after by the Civil Aviation Authority. The brand new UK wing of Norwegian will be based at Gatwick airport, where it already operates ten planes and employs more than 400 pilots and crew. The new routes are only part of the company's expansion plans for the UK, which are expected to lead to several hundred new jobs being created over the next few years. Although it may be a new name to many Brits more used to established budget airlines such as Easyjet and Ryanair, Norwegian is already the third-largest at Gatwick and also operates flights in and out of Manchester, Birmingham and Edinburgh. Bjorn Kjos, Norwegian's chief executive, said: “The British market continues to play a major role in Norwegian’s growth.” “Securing a UK operating licence is great news and an important step to get a stronger foothold in the UK as we plan for further expansion, new routes and new jobs,” he added. Almost four million Brits have already used the airline to fly to 34 destinations over the past year, with one of the most popular deals being direct budget flights to the US. Now with the next phase of its expansion ready to get underway, Norwegian plans to more than quadruple its Boeing 787 Dreamliner long-haul fleet. If you’re thinking of travelling abroad this year, be sure to organise your Long-Haul Travel Insurance in advance.